all aspects of a site affect a user’s experience? My partners, Tanya Agarwal and Rhea Jain, and I were drawn to a local playground as our site of choice. We began researching onsite (i.e. documenting conversations, sounds and forms) and offsite through exploring the historic usage of the land. For the span of a week, my teammates and I visited the playground frequently. We took photos and notes to document what the playground looked like and sounded like. Visually, we were interested in the structural elements and the details. Experientially, we were intrigued by the dynamic between the children on the playground. Historically, we found out that this plot of land was always a playground. We presented our research to our fellow classmates in the formate of a mind map. 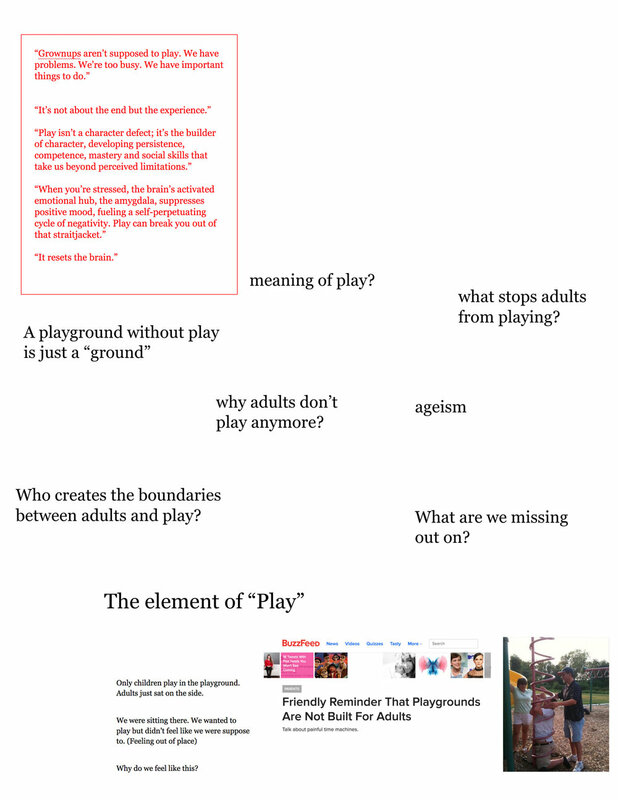 For the mind map, we focused on the different elements that builds up the experience of a playground. We wanted to highlight how the purpose of this plot of land has always revolved around the playfulness of children. We kept that in mind as we began to develop design elements that helped convey this message. reiterated form, to the RISD GD Commons. The black tape on the wall, the vinyl cutouts on the floor, and the hula hoops give the entire space a playful vibe. The red pillars are reminders of the jungle gyms and on them sits a book that is a documentation of sixty minutes at Brassil Playground. 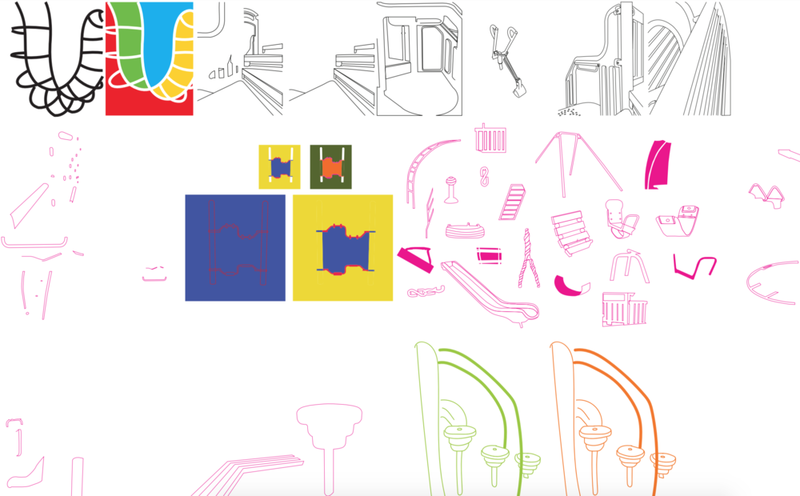 Within the book, playground elements and childlike conversations flow through the sixty compositions. We hoped that walking through this space and experiencing the book would remind the audience the last time they were at a playground and the sense of playfulness that they felt. We urged them to write down their thoughts and post them on the wall to share. In all, the project served as a reminder to us "unplayful" adults the importance of a "play" ground.